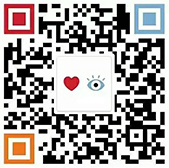 Thank you for visiting the LensCrafters site located at www.lenscrafters.com.cn, provided to you by LensCrafters China. This document sets forth the terms and conditions that apply to your use of the site. We reserve the right, in our sole discretion, to revise this Agreement at any time. Any changes to these terms will be included in a revised version of this Agreement accessible through the site. Your continued use of the site and any related services following posting of any changes to this Agreement constitutes your unconditional acceptance and agreement to be bound by the changed terms. You must cease using the site if you do not agree to be bound by the revised terms and conditions. This site and its related services are intended only for use by those who are 18 years of age or older and of the age of majority in the jurisdiction in which they reside. If you are not 18 or older, and of the age of majority in the jurisdiction in which you reside, you cannot use this site without the supervision of your parent or legal guardian. If you are a parent or legal guardian, you agree that you will monitor and supervise the use of this site by children, minors and others under your care, and you agree to be responsible for their use of this site. The content contained in this site is provided by LensCrafters China as a service to its customers. All content provided in this site is only general health information. It is not intended for diagnosis and cannot provide a diagnosis for any particular individual and should not be used as a substitute for seeking professional medical advice, diagnosis, treatment, or care. All specific medical questions you have about your medical condition, treatment, care, or diagnosis should be presented to your own professional healthcare provider. You should never disregard medical advice or delay in seeking it because of something you have read on this site. We grant you a limited, nonexclusive and revocable license to make personal and non-commercial use of the site. You may view, copy, download or print materials from this site for your own personal and non-commercial use. In this context, "personal and non-commercial use" does not include posting, uploading or otherwise publishing the materials to any other site, except that you may post and share materials from this site in connection with your non-commercial and personal use of social media web sites and services, as well as through blogs, microblog or similar types of postings. This license does not include any rights not specifically enumerated herein. You agree to use this site only for lawful purposes and in accordance with the terms and conditions contained herein. Without altering the scope of the license, and except as expressly provided for in this Agreement, this license does not include the right (a) to modify, adapt, translate, copy, reproduce, imitate, distribute, publish or resell the site or any of the content on the site, including but not limited to the trademarks and copyrights of LensCrafters China and its affiliates, or to make derivative use of the site or its contents; (b) to make commercial use of the site or any of its contents; (c) to collect and use product listings, descriptions or images; (d) to download or copy any user's account information for your own use or for the benefit of another party; (e) to bypass any technical measures used to prevent or restrict access to any portion of the site; (f) to reverse engineer, decompile or disassemble the site, or to convert into human readable form any of the contents of this site not intended to be so read, including but not limited to using or directly viewing the underlying code for the site except as interpreted and displayed in a web browser; (g) to use any data mining, robots, or similar automated data gathering and extraction tools to access the site; (h) to violate or attempt to violate the security of the site, or (i) to interfere with or attempt to interfere with the proper working of the site. You acknowledge that your use of this site is at our sole discretion, and your license to use the site may be terminated by us at any time, for any reason or for no reason. We reserve the right, in our sole discretion, to refuse service, to block or prevent future access to and use of this site, to terminate any user's account, and to alter or delete any material submitted to the site through the user's account. Following termination of this license, the terms of this Agreement shall still apply to the extent practicable. Unless otherwise noted, all content included on this site, including images, illustrations, designs, icons, photographs, video clips, text and other material, is the property of LensCrafters China or its suppliers, licensors, partners or affiliates and is protected by copyright laws. All of the content on this site is either the property of LensCrafters China or is used by us with the permission of its owner. The compilation of this site is the exclusive property of LensCrafters China and is protected by copyright laws. You agree that you will not take any actions inconsistent with LensCrafters China's ownership of the site and its content. The trademarks, logos, and service marks displayed on this site are owned by LensCrafters China and third parties, and this site's trade dress is owned by LensCrafters China. All trademarks not owned by LensCrafters China are the property of their respective owners, and, where used by LensCrafters China, are used with permission. Nothing contained on this site may be construed as granting, by implication, estoppel, or otherwise, any right or license to use any trademark. LensCrafters China's trademarks and/or trade dress may not be copied, imitated or used, in whole or in part (including use in metatags or in hidden text), without our prior written permission. You agree that you will not take any actions inconsistent with LensCrafters China's ownership of, or any third party's ownership of, the trademarks and trade dress used on this site. Any unauthorized use of any content or materials on this site is strictly prohibited and may violate copyright and trademark laws, and/or the laws of privacy, publicity, and/or communications regulations and statutes. For information on how you may obtain authorization to use any materials or content from this site, or to use LensCrafters China trademarks, service marks, product names or trade dress, please contact us through the Customer Service section of this site. Before you can make use of certain services associated with this site, you must register as a user and create a user account. You agree and warrant that all information you provide to us through this site, including but not limited to any contact information and other registration information for your account, is truthful and accurate. You further agree to maintain the accuracy of your account information and to inform us promptly of any changes to your account information, including but not limited to any changes to your email address. You agree to accept responsibility for all activities that occur under your account. You agree not to disclose your account password to others, and you agree to notify us immediately of any unauthorized use of your account. We are neither responsible for nor liable for any loss or other injury that you may incur as a result of someone else using your user account or password, either with or without your knowledge. By creating an account with this site, you consent to receive communications from us electronically via the email address associated with your account. Although you can opt not to receive promotional messages, we retain the right to send you informational email messages about your account or administrative notices regarding the site. From time to time, we may make available on this site services, features or sections that allow users to post or upload materials to the site or to our servers. You understand that all information, communications, data, text, software, music, sound, photographs, graphics, video, messages or other materials ("Content"), whether publicly posted or privately transmitted, are the sole responsibility of the person from which such Content originated. This means that you, and not LensCrafters China, are entirely responsible for all Content that you upload, post, email, transmit or otherwise make available through the site or any associated services. You represent and warrant that you own or otherwise control all the rights to any Content that you upload, transmit or otherwise make available through the site; that use of the Content you provide does not violate the intellectual property rights or any other rights of any third parties, and that use of the Content you provide will not cause injury to any person or entity. In line with, and without limiting, the foregoing, you specifically agree that you will not (a) provide any Content that is unlawful (according to local, state, or international law) or any Content that advocates illegal activity; (b) provide any Content that is defamatory, false or libelous, or that contains unlawful, harmful, threatening, harassing, discriminatory, abusive, profane, pornographic or obscene material; (c) provide any Content that you do not have a right to provide under law or under a contractual or fiduciary relationship; (d) provide any Content that contains software viruses or other harmful devices; or (e) impersonate any other person or entity or forge headers or otherwise manipulate identifiers in order to disguise the origin of any Content you provide. You agree that you will indemnify LensCrafters China or its affiliates for all claims resulting from or related to Content you post or submit. You grant the following license with respect to any and all Content you post or submit to this site: you hereby expressly grant to LensCrafters China a royalty-free, perpetual, non-exclusive, irrevocable right and license to use, reproduce, adapt, modify, publish, edit, translate, perform, transmit, sell, exploit, sublicense or otherwise distribute and display the Content and any ideas, concepts, know-how or techniques contained therein for any reason and in any manner it chooses, alone or as a part of other works, in any form, medium or technology now known or later developed, without restriction and without compensation of any kind to you, and you waive all moral rights in all such Content. For informational purposes, we note that the uses to which we may put the information or Content you provide include, but are not limited to, reproduction and use in any and all media whether now known or hereafter devised; publication of the Content or a derivative thereof for promotional, marketing and advertising purposes, and use in the development and manufacture of products. We do not control the Content delivered via the site by you or other users, and, as such, do not guarantee the accuracy, integrity or quality of such Content. You understand that by using the site, you may be exposed to Content that is offensive, indecent or objectionable. Under no circumstances will we be liable in any way for any Content, including, but not limited to, for any errors or omissions in any Content, or for any loss or damage of any kind incurred as a result of the use of any Content posted, emailed, transmitted or otherwise made available via the site. The opinions expressed in postings or other Content on this site are not necessarily those of LensCrafters China or its content providers, advertisers, sponsors, affiliated or related entities. We make no representations or warranties regarding any information or opinions posted to or otherwise included on or transmitted through the site. We do not represent or guarantee the truthfulness, accuracy, or reliability of any Content or determine whether the Content violates the rights of others. 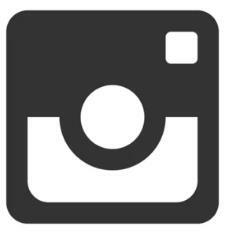 You acknowledge that any reliance on material posted by other users will be at your own risk. We do not and are not obligated to regularly review, monitor, delete or edit the Content of the site as posted by users. However, we reserve the right to do so at any time in its sole discretion, for any reason or no reason, and to edit or delete any posting or submission, in whole or in part, with or without notice. We are not responsible or liable for damages of any kind arising from any Content, or from our alteration or deletion of any Content, even when we are advised of the possibility of such damages. You acknowledge, consent and agree that LensCrafters China may access, preserve and disclose your account information and any Content you submit if required to do so by law or in a good faith belief that such access preservation or disclosure is reasonably necessary to: (a) comply with legal process; (b) enforce this Agreement; (c) respond to claims that any Content violates the rights of third-parties; (d) respond to your requests for customer service; or (e) protect the rights, property, or personal safety of LensCrafters China, its affiliates, its personnel, other users and the public. We are not responsible for typographical or other errors or omissions regarding products, prices or other information provided on this site. The posting of prices on our site is not an offer for sale of goods, and the order confirmation is not an acceptance of an offer to purchase goods. From time to time, we may provide links to other internet sites or resources via this site, and other sites may link to this site. We have not reviewed the accuracy of the content of any linked third party site. No endorsement of any such linked third party site is made, either express or implied. Because we have no control over such sites and resources, you acknowledge and agree that we are not responsible for the availability of such external sites or resources, and that we do not endorse and are not responsible or liable for any content, advertising, products, or other materials on or available from such sites or resources. You further acknowledge and agree that we shall not be responsible or liable, directly or indirectly, for any damage or loss caused or alleged to be caused by or in connection with use of or reliance on any content, goods or services available on or through any such site or resource. Use of such links is at your own risk. LensCrafters China provides this site and the associated services in connection with one or more affiliated companies and third party agents. Any terms and conditions related to the disclaimer of warranties, your obligation to indemnify LensCrafters China, and your available remedy in the event of any dispute apply equally with respect to these affiliated companies and agents. THIS SITE, ITS CONTENT, AND ANY ASSOCIATED SERVICES ARE PROVIDED BY LENSCRAFTERS CHINA ON AN "AS IS" AND "AS AVAILABLE" BASIS. LENSCRAFTERS CHINA MAKES NO REPRESENTATIONS OR WARRANTIES OF ANY KIND, EXPRESS OR IMPLIED, AS TO THE OPERATION OF THIS SITE, TO THE INFORMATION, CONTENT, MATERIALS OR PRODUCTS INCLUDED ON THIS SITE, OR TO THE FUNCTIONALITY OF ANY SERVICES ASSOCIATED THEREWITH. TO THE FULLEST EXTENT PERMISSIBLE BY APPLICABLE LAW, LENSCRAFTERS CHINA DISCLAIMS ANY AND ALL IMPLIED WARRANTIES, INCLUDING BUT NOT LIMITED TO IMPLIED WARRANTIES OF TITLE, MERCHANTABILITY AND FITNESS FOR A PARTICULAR PURPOSE, OF WORKMANLIKE EFFORT, OF SUITABILITY, AVAILABILITY, ACCURACY, RELIABILITY, COMPLETENESS OR TIMELINESS OF CONTENT, OR OF NON-INFRINGEMENT, AS WELL AS WARRANTIES ARISING THROUGH COURSE OF DEALING OR USAGE OR TRADE. FURTHER, LENSCRAFTERS CHINA MAKES NO REPRESENTATIONS OR WARRANTIES THAT THIS SITE AND/OR ITS CONTENTS ARE ACCURATE, COMPLETE, RELIABLE, CURRENT OR ERROR-FREE. LENSCRAFTERS CHINA IS NOT RESPONSIBLE FOR TYPOGRAPHICAL ERRORS OR OMISSIONS RELATING TO PRICING, TEXT, PHOTOGRAPHY OR ANY OTHER CONTENTS ON THIS SITE. BY USING THIS SITE, YOU ACKNOWLEDGE THAT YOUR USE OF THE SITE, INCLUDING YOUR USE OF ANY AND ALL ASSOCIATED CONTENT, DATA OR SOFTWARE DISTRIBUTED BY, DOWNLOADED OR ACCESSED FROM OR THROUGH THIS SITE, AND ANY ASSOCIATED SERVICES IS SOLELY AT YOUR OWN RISK. LENSCRAFTERS CHINA DOES NOT WARRANT OR GUARANTEE THAT ITS SITE, SERVERS OR E-MAILS SENT BY OR ON BEHALF OF LENSCRAFTERS CHINA ARE FREE OF VIRUSES, WORMS OR OTHER HARMFUL COMPONENTS. FURTHER, LENSCRAFTERS CHINA DOES NOT GUARANTEE THE CONTINUOUS, UNINTERRUPTED AND ERROR-FREE OPERATION OF ITS SITE, NOR THAT ALL COMMUNICATIONS BETWEEN YOU AND LENSCRAFTERS CHINA, OR BETWEEN YOU AND ANY OTHER USER OF THE SITE, WILL BE SECURE FROM ACCESS OR INTERFERENCE BY THIRD PARTIES. LENSCRAFTERS CHINA WILL NOT BE LIABLE FOR ANY DAMAGES OF ANY KIND ARISING FROM OR OTHERWISE RELATED TO YOUR USE OF OR INABILITY TO USE THIS SITE OR THE ASSOCIATED SERVICES, INCLUDING BUT NOT LIMITED TO DIRECT, INDIRECT, INCIDENTAL, PUNITIVE AND CONSEQUENTIAL DAMAGES, EVEN IF LENSCRAFTERS CHINA HAS BEEN ADVISED OF OR SHOULD HAVE KNOWN OF THE POSSIBILITY OF SUCH DAMAGES. WITHOUT LIMITING THE FOREGOING, LENSCRAFTERS CHINA WILL NOT BE LIABLE FOR ANY DAMAGE TO YOUR COMPUTER, TELECOMMUNICATION EQUIPMENT, OR OTHER PROPERTY CAUSED BY OR ARISING FROM YOUR ACCESSING OR USE OF THIS SITE, OR FROM YOUR DOWNLOADING OF ANY MATERIALS FROM THIS SITE, OR FOR ANY DAMAGES ARISING OUT OF A THIRD PARTY'S UNAUTHORIZED ACCESS TO AND USE OF YOUR PERSONAL INFORMATION STORED ON LENSCRAFTERS CHINA'S COMPUTERS AND/OR SERVERS. IN NO EVENT SHALL THE AGGREGATE LIABILITY OF LENSCRAFTERS CHINA, ITS PARENT, SUBSIDIARIES OR AFFILIATES - WHETHER IN CONTRACT, WARRANTY, TORT (INCLUDING BUT NOT LIMITED TO NEGLIGENCE), PRODUCT LIABILITY, STRICT LIABILITY OR OTHER THEORY - ARISING OUT OF OR RELATING TO THE USE OF THIS SITE EXCEED THE LESSER OF CNY 10 YUAN, OR THE TOTAL AMOUNT YOU PAID TO LENSCRAFTERS CHINA. You agree to indemnify, defend and hold harmless LensCrafters China, its subsidiaries, agents, distributors and affiliates, and their officers, directors and employees, from and against any claim, demand, damages, cost and expenses, including reasonable attorney fees, arising from or related to your use of this site and the services provided in connection with the site, or your breach of any provision of this Agreement or any warranty provided hereunder. You agree that if you are dissatisfied with the site or any services offered in connection with the site, if you do not agree with any part of this Agreement, or you have any other dispute or claim with or against LensCrafters China with respect to this Agreement or the site, your sole and exclusive remedy is to discontinue using the site and any services offered in connection with the site. This site is created and maintained by LensCrafters China in mainland China. We make no representation that the site or any of its content is appropriate or available for use outside mainland China, and access to the site from territories where the content is illegal is prohibited. You agree that you are solely responsible for compliance with applicable local laws connected with your use of this site. You agree that the laws of People's Republic of China ( exclusive of the laws of Hong Kong, Macau, and Taiwan) will govern this Agreement and any dispute of any sort that may arise between you and LensCrafters China or its affiliates. Regardless of where you access this site, you agree that any dispute arising out of this Agreement or your use of the LensCrafters China site, shall be finally resolved through arbitration before China International Economic and Trade Arbitration Commission ("CIETAC") Shanghai Branch, which shall be conducted by a single arbitrator in Shanghai in accordance with the arbitration rules of CIETAC in effect at the time of arbitration. LensCrafters China respects the intellectual property rights of third parties, and complies with relevant laws and regulations. regarding such rights. LensCrafters China reserves the right to remove access to infringing material posted to its site. Such actions do not affect or modify any other rights LensCrafters China may have under law or contract. If you believe that any portion of the material contained on this site infringes your copyright, please notify LensCrafters China of your claim. We will take appropriate action as required by relevant laws and regulations. This Agreement represents the entire understanding between the parties regarding your use of the site, and supersedes all other agreements, express or implied, between them. If any provision of this Agreement is determined to be invalid or unenforceable for any reason whatsoever, the remainder of this Agreement shall be enforced to the extent possible, and the offending provision shall be treated as though not a part of this Agreement. LensCrafters China's failure to act with respect to a breach of this Agreement by you or others does not constitute a waiver of its rights with respect to that breach or any subsequent breach, nor shall it constitute a waiver of any other rights under this Agreement. A printed version of this Agreement and of any notice given in electronic form shall be admissible in arbitration or judicial /administrative proceedings based upon or relating to this Agreement to the same extent and subject to the same conditions as other business documents and records originally generated and maintained in printed form. If you believe that this site is not following its stated information policy, you may contact us at the postal address, email address, or telephone number published on this site.